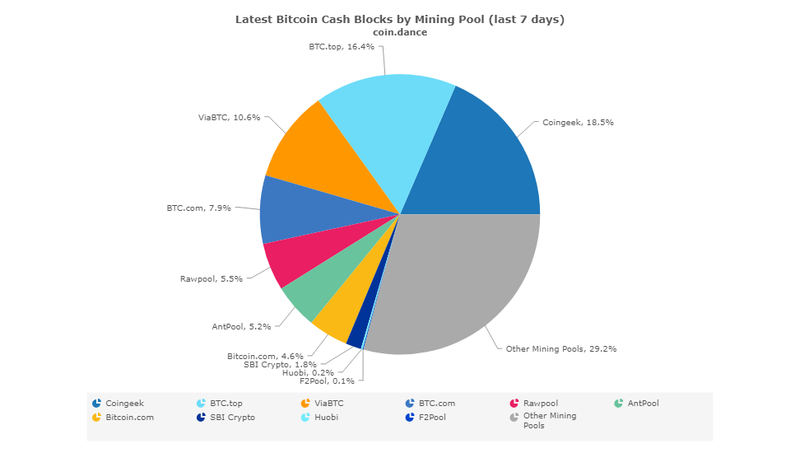 Six months after mining its first Bitcoin Cash (BCH) block, the Antiguan-based CoinGeek Mining Division now holds the top spot among the Bitcoin BCH miners. Coin.Dance data showed CoinGeek holds 19.44% of the BCH global hash power on Thursday, surpassing ViaBTC, which has 16.67%. 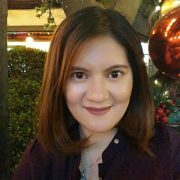 BTC.com came in third place with 9.03%, followed by Rawpool (6.25%), Bitcoin.com (6.25%), AntPool (4.17%), SBI Crypto (2.78%), BTC.top (2.08%), F2Pool (0.69%), and Huobi (0.69%). Other mining pools hold 31.94% of BCH hash power. 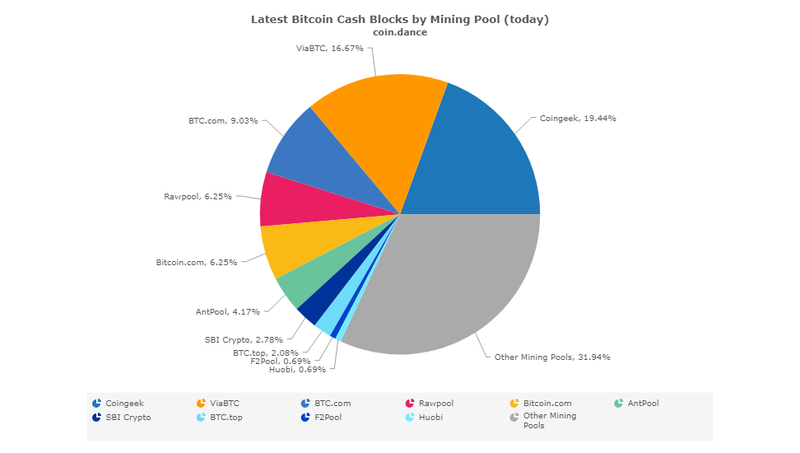 On a seven-day basis, CoinGeek is 18.6% of the Bitcoin BCH global hash, followed by BTC.top with 16.4%, and ViaBTC with 10.7%. Trailing behind are BTC.com (7.8%), Rawpool (5.5%), AntPool (5.1%), Bitcoin.com (4.6%), SBI Crypto (1.8%), Huobi (0.2%), and F2Pool (0.1%). Other mining pools has 29.2% of the global BCH hash. This isn’t the first time that CoinGeek took the top spot among Bitcoin BCH miners around the world. Last week, its Antiguan-based Mining Division surpassed BTC.top as the largest BCH mining pool in terms of blocks mined. CoinGeek is on track to turn on another 20,000 miners in August, a move that could cement its spot at the top of the global mining pools. If you’re interested in helping the growth of merchant adoption of Bitcoin Cash, join the bComm Association, an industry group that intends to be the focal point for miners, merchants, exchanges, developers and members of the BCH community. Developers and merchants of the Bitcoin BCH community will also be in London for the first CoinGeek Week happening in November. Register here, and be the first to know when tickets go on sale for this historic week.